is Information Security Consultant at SBA Research. He previously worked as Information Security Auditor at Daimler where he audited and advised inter alia projects regarding the S-Class, MercedesMe or Autonomous Driving on Cyber & CarIT Security. Millauer received his BSc in IT Security at the University of Applied Sciences St. Pölten. During his studies, he spent a semester abroad at the Bern University of Applied Sciences. His bachelor thesis examined how business growth through information security will be achieved for automobile manufacturers. 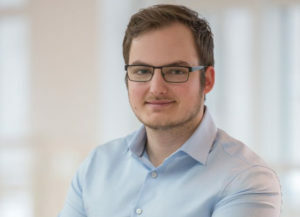 Millauer is currently working towards his Master’s degree in Information Security Management at the University of Applied Sciences Hagenberg with focus on Auditing, Governance and Risk Management.